Corporate web security consists of any software or any cloud computing services that are used to protect the corporate user’s data from any external virus or web-based malware. It also helps the organization to control the employee’s behavior on the internet and save the data from any theft or loss. Corporate web security can be deployed in multiple forms such as appliances, virtual appliances, cloud services and hybrid models. Corporate web security is often used in web application control, malware detection, SSl scanning, data loss prevention, , URL filtering and other applications. The corporate web security provides enhance security measure such as prevents the productivity loss and other complications faced by the many business organizations and enterprise. The global corporate web security market is anticipated to expand at a significant CAGR during 2018-2027. 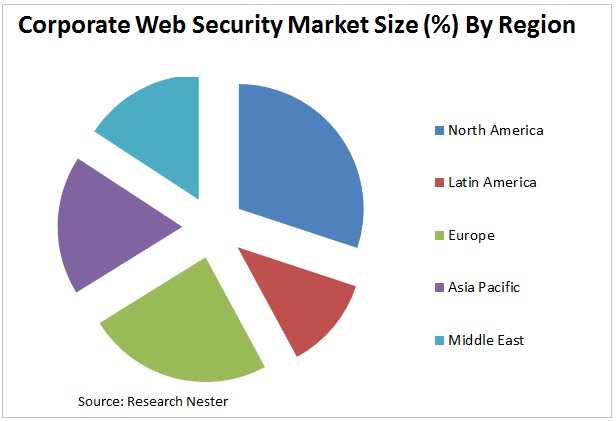 The increasing cyber-attacks coupled with the rising awareness regarding the internet security are anticipated to boost the growth of the global corporate web security market during the forecast period. The continuous growing internet threats are anticipated to be the primary growth driver for the global corporate web security market during the forecast period. The increasing adoption of the cloud based technology by the various organizations coupled with increasing penetration of the internet which increases the malware and phishing activities is increasing the demand for the corporate web security during the forecast period. The increasing bugs and software crash are the major concerns anticipated to propel the market growth of the global corporate web security. However, latest up gradation of the software is required for the protection and storage of the data which is anticipated to restrain the global corporate web security market.